Linx carries a variety of RF wireless connectors, cable assemblies and battery holders. Custom cable assemblies are available for customers with specialized needs. These products used to be sold under the Connector City brand. 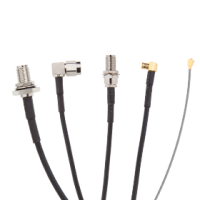 Linx Technologies offers a wide variety of U.FL / MHF, SMA, MCX, and MMCX radio frequency connector and cable assemblies. RF connectors and cables consist of miniature precision-machined mechanical components and clever designs with complex assembly which are necessary to minimize losses and reflections. This requires tight tolerances, quality surface finishing and proper choice of metals and insulators. 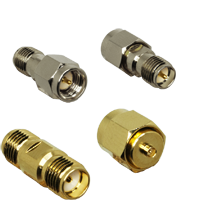 By combining domestic design and quality with offshore connector manufacturing, Linx offers low loss connectors at very competitive prices for OEM customers. Pre-made cable assemblies from Linx are available in popular configurations with high-quality connectors. Crimping kits are also available to help you build your own cable assemblies. Each kit includes a crimp frame, cable cutter and stripper. 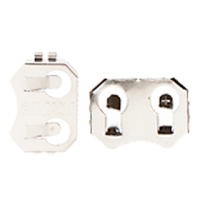 Surface and through-hole mount battery holders are a smart choice for cost-sensitive, space-constrained applications involving computers, remote controls and other compact electronics.